Welcome to our Pretoria waterproofing site. Having been in operation for over three decades we have all it takes to make your property healthy and dry. Whether you require cellar or basement tanking, basement tanking or any type of flood control services, we have the knowledge, experience and dedication to get the job done properly. With a professional team of qualified waterproofing surveyors and specialists we are trained in every type of residential and commercial roofing services. We take pride in our work and adhere to all nationwide waterproofing standards. We personally oversee the entire operation, thus ensuring highest expectations are met. No matter the type property or structure, we make sure it is properly and correctly sealed against water. To arrange a free, no obligation quote call our waterproofing in Pretoria team on: 012 004 1887! Our waterproofing contractors are always at the ready. Whether you need an emergency repair job on your home or wish to carry out a survey on your office of industrial property, we have the right person the job. As one of Gauteng’s leading waterproofing companies, we cover a broad range of roofing services, all at an affordable price. Protect your property from the threat of water damage – call us today to arrange a consultation! Call our Pretoria team today on 012 004 1887! Settle For No Less – Get Pretoria’s Best! Our Pretoria roofing experts have what is takes to keep you and your property safe and dry. 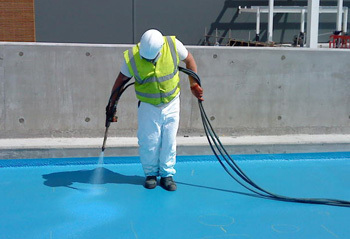 Our comprehensive waterproofing service covers everything from initial inspection to thorough and lasting results. We provide clear and honest pricing with unnecessary or hidden costs and we keep our client fully informed. We work with all types of roofs, from concrete, lead, tile, slate, flat roofs, shingle roofs and corrugated roofs!